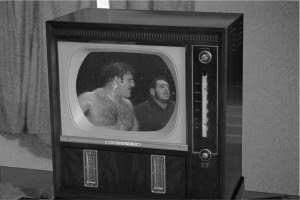 Older readers may remember professional wrestler Bruno Sammartino from the 1960’s into the early 1970’s for his then and current world record with 11 years as WWWF champion. He sure was fun to watch as a kid Growin’ Up in Maine. Testing my memory, most notable of his opponents were other superstars with great nicknames like Gorilla Monsoon and Killer Kowalski. Who knew that what we watched in black and white and later color television, would evolve into the huge market of professional wrestling today? I believe the entertainment value was better back then with less hype, and before the surge in Las Vegas showmanship. Again, who knew. I must admit the blood drawn in one match looked real that night after one wrestler was smacked with a folding chair.